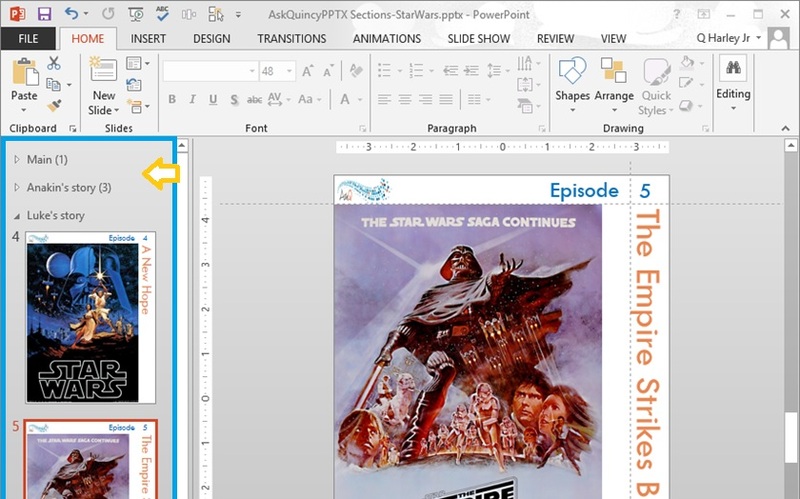 Here’s a quick PowerPoint tip: Add Sections to your Presentations. Print just the slides in a given section (click File, Print, and then, in the Settings area, select Section). CLICK + DRAG to easily change the order of your slides. On the Ribbon, on the View tab, select either Normal view or Sorter view. RIGHT + CLICK between two slides thumbnails. In Normal view these thumbnails appear on the navigation pane. The section header is added and titled ‘Unnamed Section’. If there is no previous section header a ‘Default Section’ is also inserted at the beginning of the presentation. Click the Sections button located on the Home Tab, in the Slides group.